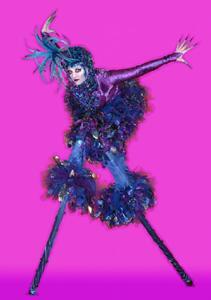 Bollis Peacocks on Stilts are an absolutely exquisite stilt-walking act. Elegant both inside and out, the peacocks parade, proudly preening their feathers and will enchant your guests with their curious antics. 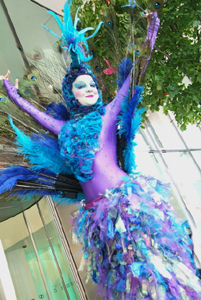 Complete with fabulous fanned tails, crafted from real peacock feathers and sprinkled with magical twinkling pea lights and crystals. 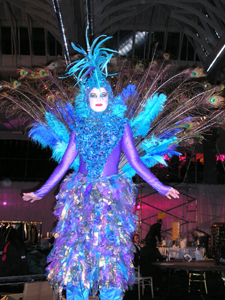 Sumptuous both inside and out the peacocks are also available with Swarovski crystal masks for exotic masked balls!